If you seek comfort and composure, the Ford Fusion delivers with a touch of European sensibility in the chassis tuning. The Fusion steps over heaves and potholes in a way that suggests its dampers and bushings were selected with the care and budget usually reserved for luxury cars. And while it doesn’t bait you into swinging around corners, the steering has nice heft and good on-center surety. A 70-mph stopping distance of 172 feet places the Fusion right in the mix with the competition. That’s a marked improvement over the previous-generation Fusion, which had abysmal brakes with distances sometimes stretching beyond 200 feet. The 240-hp turbocharged four-cylinder in our test car is the only engine choice that opens this all-wheel-drive option. The 2.0-liter EcoBoost is the top performer in a crowded engine lineup that includes three four-cylinders, a hybrid powertrain, andthe Fusion Energi plug in hybrid. You can pair it with front-wheel drive, but the $2000 all-wheel-drive system is a good buy for those in northern climates, especially since you’re already $33,425 deep with the motor and Titanium trim. While the drivetrain typically routes all power through the front wheels, an electronically controlled clutch pack seamlessly dispatches the engine’s 270 lb-ft of torque to the ground through all four wheels when necessary. On a rainy day, we mashed the throttle over and over, around corners, off the line, and from a roll with no signs of wheelspin or torque steer. 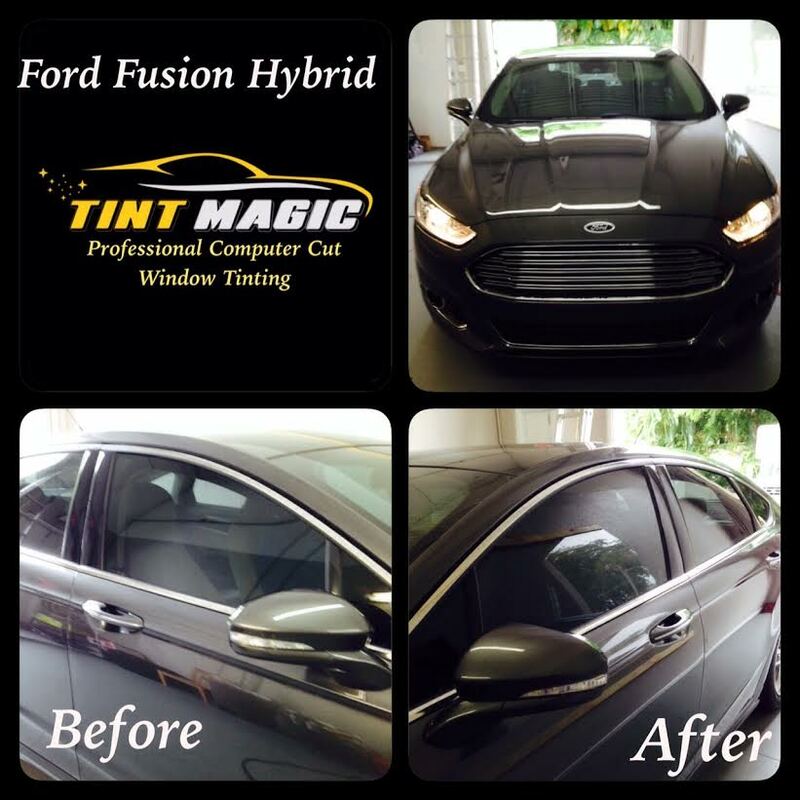 Ford Fusion at Tint Magic Window Tinting Coral Springs. We applied 35% on two front windows and 18% on rear windows, (legal shades in Florida), Call us for a free estimate! 954-840-7883. We are located at 11344 Wiles Road Coral Springs, Fl 33076. Serving Coral Springs, Parkland, Tamarac, Coconut Creek, Weston, Sunrise and Margate.